When it comes to the search for extra-terrestrial life, scientists have a tendency to be a bit geocentric – i.e. they look for planets that resemble our own. This is understandable, seeing as how Earth is the only planet that we know of that supports life. As result, those searching for extra-terrestrial life have been looking for planets that are terrestrial (rocky) in nature, orbit within their stars habitable zones, and have enough water on their surfaces. 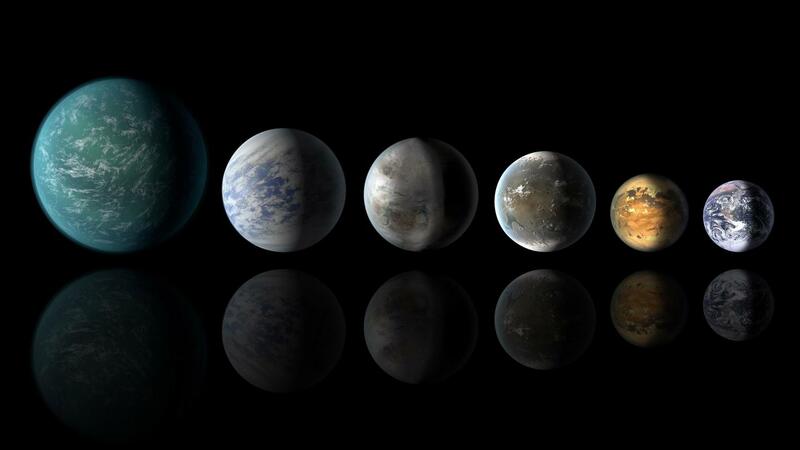 In the course of discovering several thousand exoplanets, scientists have found that many may in fact be “water worlds” (planets where up to 50% of their mass is water). This naturally raises some questions, like how much water is too much, and could too much land be a problem as well? To address these, a pair of researchers from the Harvard Smithsonian Center for Astrophysics (CfA) conducted a study to determine how the ratio between water and land masses can contribute to life. Since the 1990s, astrophysicists have known that for the past few billion years, the Universe has been experiencing an accelerated rate of expansion. This gave rise to the theory that the Universe is permeated by a mysterious invisible energy known as “dark energy”, which acts against gravity and is pushing the cosmos apart. In time, this energy will become the dominant force in the Universe, causing all stars and galaxies to spread beyond the cosmic horizon. At this point, all stars and galaxies in the Universe will no longer be visible or accessible from any other. The question remains, what will intelligent civilizations (such as our own) do for resources and energy at this point? This question was addressed in a recent paper by Dr. Abraham Loeb – the Frank B. Baird, Jr., Professor of Science at Harvard University and the Chair of the Harvard Astronomy Department. The paper, “Securing Fuel for our Frigid Cosmic Future“, recently appeared online. As he indicates in his study, when the Universe is ten times its current age (roughly 138 billion years old), all stars outside the Local Group of galaxies will no be accessible to us since they will be receding away faster than the speed of light. For this reason, he recommends that humanity follow the lesson from Aesop’s fable, “The Ants and the Grasshopper”. This classic tale tells the story of ants who spent the summer collecting food for the winter while the grasshopper chose to enjoy himself. While different versions of the story exist that offer different takes on the importance of hard work, charity, and compassion, the lesson is simple: always be prepared. 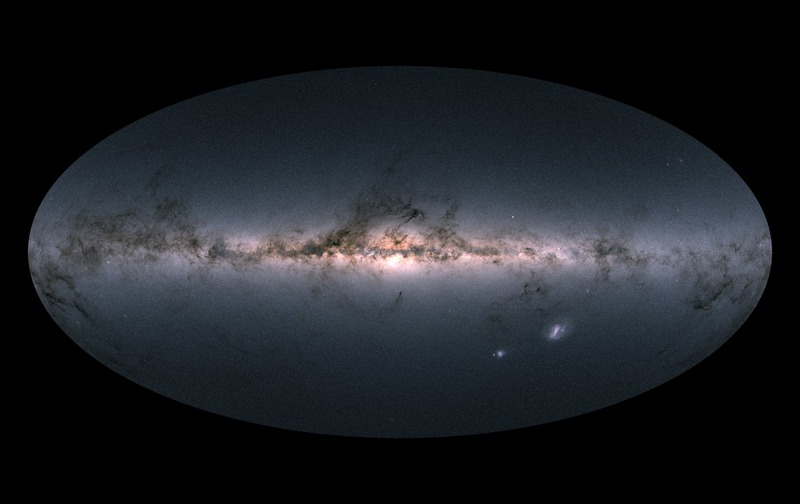 In this respect, Loeb recommends that advanced species migrate to rich clusters of galaxies. Dr. Loeb also indicated where humanity (or other advanced civilizations) should consider relocating to when the expansion of the Universe causes the stars of the Local Group to expand beyond the cosmic horizon. Within 50 million light years, he indicates, likes the Virgo Cluster, which contains about a thousands times more matter than the Milky Way Galaxy. The second closest is the Coma Cluster, a collection of over 1000 galaxies located about 336 million light years away. This paper is similar to a study Dr. Loeb conducted back in 2011, which appeared in the Journal of Cosmology and Astroparticle Physics under the title “Cosmology with Hypervelocity Stars“. At the time, Dr. Loeb was addressing what would happen in the distant future when all extragalactic light sources will cease to be visible or accessible due to the accelerating expansion of the Universe. This study was a follow-up to a 2001 paper in which Dr. Loeb addressed what would become of the Universe in billions of years – which appeared in the journal Physical Review Letters under the title “The Long–Term Future of Extragalactic Astronomy“. Shortly thereafter, Dr. Loeb and Freeman Dyson himself began to correspond about what could be done to address this problem. A similar idea was presented in a recent paper by Dr. Dan Hooper, an astrophysicist from the Fermi National Accelerator Laboratory (FNAL) and the University of Chicago. In his study, Dr. Hooper suggested that advanced species could survive all stars in the Local Group expanding beyond the cosmic horizon (100 billion years from now), by harvesting stars across tens of millions of light years. This harvesting would consist of building unconventional Dyson Spheres that would use the energy they collected from stars to propel them towards the center of the species’ civilization. However, only stars that range in mass of 0.2 to 1 Solar Masses would be usable, as high-mass stars would evolve beyond their main sequence before reaching the destination and low-mass stars would not generate enough energy for acceleration to make it in time. But as Dr. Loeb indicates, there are additional limitations to this approach, which makes migrating more attractive than harvesting. While this may seem like a truly far-off concern, it does raise some interesting questions about the long-term evolution of the Universe and how intelligent civilizations may be forced to adapt. In the meantime, if it offers some additional possibilities for searching for extra-terrestrial intelligences (ETIs), then so much the better. And as Dr. Dyson said, if there are currently no ETIs preparing for the coming “cosmic winter” with cosmic engineering projects, perhaps it is something humanity can plan to tackle someday! 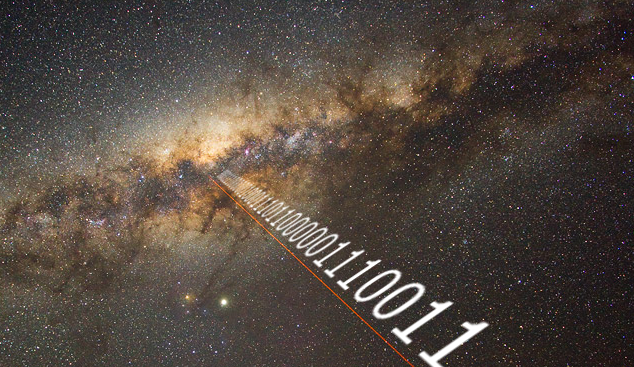 The Fermi Paradox remains a stumbling block when it comes to the search for extra-terrestrial intelligence (SETI). Named in honor of the famed physicist Enrico Fermi who first proposed it, this paradox addresses the apparent disparity between the expected probability that intelligent life is plentiful in the Universe, and the apparent lack of evidence of extra-terrestrial intelligence (ETI). In the decades since Enrico Fermi first posed the question that encapsulates this paradox (“Where is everybody?”), scientists have attempted to explain this disparity one way or another. But in a new study conducted by three famed scholars from the Future of Humanity Institute (FHI) at Oxford University, the paradox is reevaluated in such a way that it makes it seem likely that humanity is alone in the observable Universe. The study, titled “Dissolving the Fermi Paradox“, recently appeared online. The study was jointly-conducted by Anders Sandberg, a Research Fellow at the Future of Humanity Institute and a Martin Senior Fellow at Oxford University; Eric Drexler, the famed engineer who popularized the concept of nanotechnology; and Tod Ord, the famous Australian moral philosopher at Oxford University. 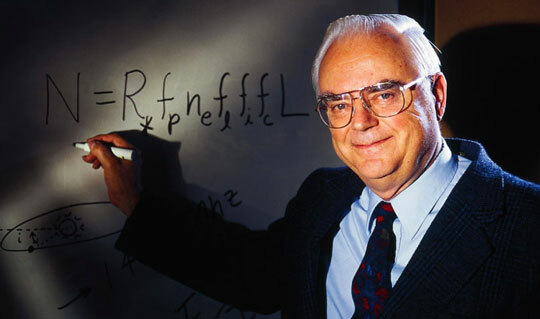 For the sake of their study, the team took a fresh look at the Drake Equation, the famous equation proposed by astronomer Dr. Frank Drake in the 1960s. Based on hypothetical values for a number of factors, this equation has traditionally been used to demonstrate that – even if the amount of life developing at any given site is small – the sheer multitude of possible sites should yield a large number of potentially observable civilizations. Dr. Sandberg is no stranger to the Fermi Paradox, nor is he shy about attempting to resolve it. In a previous study, titled “That is not dead which can eternal lie: the aestivation hypothesis for resolving Fermi’s paradox“, Sandberg and his associates proposed that the Fermi Paradox arises from the fact that ETIs are not dead, but currently in a state of hibernation – what they called “aestivation” – and awaiting better conditions in the Universe. In a study conducted back in 2013, Sandberg and Stuart Armstrong (also a research associate with the FHI and one of the co-authors on this study) extended the Fermi Paradox to look beyond our own galaxy, addressing how more advanced civilizations would feasibly be able to launch colonization projects with relative ease (and even travel between galaxies without difficulty). As such, Sandberg, Drexler and Ord looked at the equation’s parameters as uncertainty ranges. Instead of focusing on what value they might have, they looked at what the largest and smallest values they could have based on current knowledge. Whereas some values have become well constrained – such as the number of planets in our galaxy based on exoplanet studies and the number that exist within a star’s habitable zone – others remain far more uncertain. “We found that even using the guesstimates in the literature (we took them and randomly combined the parameter estimates) one can have a situation where the mean number of civilizations in the galaxy might be fairly high – say a hundred – and yet the probability that we are alone in the galaxy is 30%! The reason is that there is a very skew distribution of likelihood. In the end, the team’s conclusions do not mean that humanity is alone in the Universe, or that the odds of finding evidence of extra-terrestrial civilizations (both past and present) is unlikely. Instead, it simply means that we can say with greater confidence – based on what we know – that humanity is most likely the only intelligent species in the Milky Way Galaxy at present. And of course, this all comes down to the uncertainties we currently have to contend with when it comes to SETI and the Drake Equation. In that respect, the study conducted by Sandberg, Drexler and Ord is an indication that much more needs to be learned before we can attempt to determine just how likely ETI is out there. So take heart, SETI enthusiasts! While the Drake Equation may not be something we can produce accurate values for anytime soon, the more we learn, the more refined the values will be. And remember, we only need to find intelligent life once in order for the Fermi Paradox to be resolved! During the 1930s, astronomers came to realize that the Universe is in a state of expansion. By the 1990s, they realized that the rate at which it is expansion is accelerating, giving rise to the theory of “Dark Energy”. Because of this, it is estimated that in the next 100 billion years, all stars within the Local Group – the part of the Universe that includes a total of 54 galaxies, including the Milky Way – will expand beyond the cosmic horizon. At this point, these stars will no longer be observable, but inaccessible – meaning that no advanced civilization will be able to harness their energy. Addressing this, Dr. Dan Hooper – an astrophysicist from the Fermi National Accelerator Laboratory (FNAL) and the University of Chicago – recently conducted a study that indicated how a sufficiently advanced civilization might be able to harvest these stars and prevent them from expanding outward. For the sake of his study, which recently appeared online under the title “Life Versus Dark Energy: How An Advanced Civilization Could Resist the Accelerating Expansion of the Universe“, Dr. Dan Hooper considered how civilizations might be able to reverse the process of cosmic expansion. In addition, he suggests ways in which humanity might looks for signs of such a civilization. To put it simply, the theory of Dark Energy is that space is filled with a mysterious invisible force that counteracts gravity and causes the Universe to expand at an accelerating rate. The theory originated with Einstein’s Cosmological Constant, a term he added to his theory of General Relativity to explain how the Universe could remain static, rather than be in a state of expansion or contraction. While Einstein was proven wrong, thanks to observations that showed that the Universe was expanding, scientists revisited the concept in order to explain how cosmic expansion has sped up in the past few billion years. The only problem with this theory, according to Dr. Hooper’s study, is that the dark energy will eventually become dominant, and the rate of cosmic expansion Universe will increase exponentially. In addition to being the Head of the Theoretical Astrophysics Group at the FNAL, Dr. Hooper is also an Associate Professor in the Department of Astronomy and Astrophysics at the University of Chicago. As such, he is well versed when it comes to the big questions of extra-terrestrial intelligence (ETI) and how cosmic evolution will affect intelligent species. As Dr. Hooper admits, this conclusion relies on two assumptions – first, that a highly advanced civilization will attempt to maximize its access to usable energy; and second, that our current understanding of dark energy and the future expansion of our Universe is approximately correct. With this in mind, Dr. Hooper attempted to calculate which stars could be harvested using Dyson Spheres and other megastructures. This harvesting, according to Dr. Hooper, would consist of building unconventional Dyson Spheres that would use the energy they collected from stars to propel them towards the center of the species’ civilization. High-mass stars are likely to evolve beyond the main sequence before reaching the destination of the central civilization and low-mass stars would not generate enough energy (and therefore acceleration) to avoid falling beyond the horizon. Based on the assumption that such a civilization could travel at 1 – 10% the speed of light, Dr. Hooper estimates that they would be able to harvest stars out to a co-moving radius of approximately 20 to 50 Megaparsecs (about 65.2 million to 163 million light-years). Depending on their age, 1 to 5 billion years, they would be able to harvest stars within a range of 1 to 4 Megaparsecs (3,260 to 13,046 light-years) or up to several tens of Megaparsecs. In addition to providing a framework for how a sufficiently-advanced civilization could survive cosmic acceleration, Dr. Hooper’s paper also provides new possibilities in the search for extra-terrestrial intelligence (SETI). While his study primarily addresses the possibility that such a mega-civilization will emerge in the future (perhaps it will even be our own), he also acknowledges the possibility that one could already exist. In the past, scientists have suggested looking for Dyson Spheres and other megastructures in the Universe by looking for signatures in the infrared or sub-millimeter bands. However, megastructures that have been built to completely harvest the energy of a star, and use it to transport them across space at relativistic speeds, would emit entirely different signatures. In addition, the presence of such a mega-civilization could be discerned by looking at other galaxies and regions of space to see if a harvesting and transport process has already begun (or is in an advanced stage). Whereas past searchers for Dyson Spheres have focused on detecting the presence of structures around individual stars within the Milky Way, this kind of search would focus on galaxies or groups of galaxies in which most of the stars would be surrounded by Dyson Spheres and removed. In the end, this theory not only provides a possible solution for how advanced species might survive cosmic expansion, it also offers new possibilities in the hunt for extra-terrestrial intelligence. 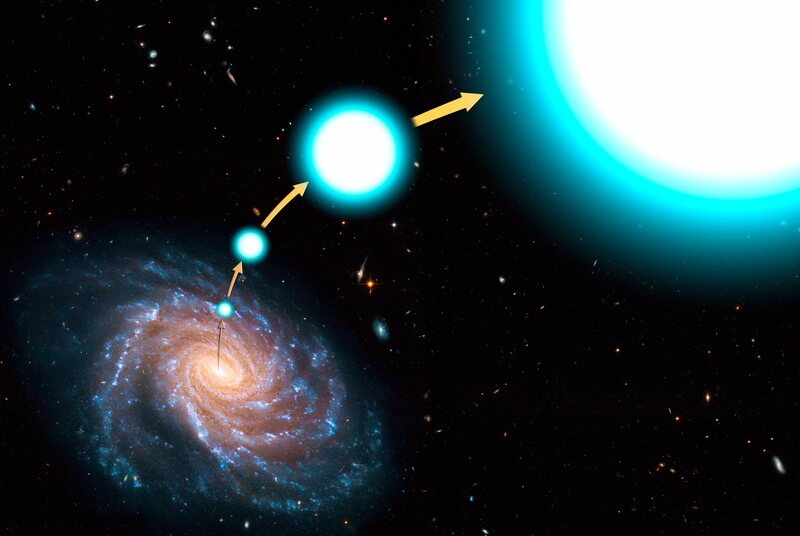 With next-generation instruments looking farther into the Universe and with greater resolution, perhaps we should be on the lookout for hypervelocity stars that are all being transported to the same region of space. Could be a Type III civilization preparing for the day when dark energy takes over! Naturally, Fermi’s Paradox has attracted a lot of theoretical explanations over the years – which include ETI being very rare, humanity being early to the Universe, and the aliens being extinct! But a new study by a team of scientists from the Future of Humanity Institute (FHI) offers a different take on this age-old paradox. According to their study, the key to answering this question is to consider the possibility that the aliens are engaged in “aestivation”. Essentially, aestivation is a prolonged state of torpor that organisms enter into during a particularly hot or dry period. Similar to what hibernating animals do during the winter, this state is designed to keep creatures alive until more favorable conditions emerge. And when applied to the cosmos, this concept could explain why one of the key things astronomers have been looking for – i.e. activity – has been lacking. The study was led by Anders Sandberg, a research associate to the Oxford Uehiro Center for Practical Ethics, the Oxford Center for Neuroethics, and the James Martin Research Fellow at FHI. Cryptically titled, “That is Not Dead Which Can Eternal Lie: the Aestivation Hypothesis for Resolving Fermi’s Paradox“, their study considers the possibility that advanced alien civilizations might be difficult to find because they are sleeping right now. This is not the first time Sandberg has addressed questions arising out of the Fermi Paradox. In a previous study, he and Stuart Armstrong (also a research associate with the FHI and one of the co-authors on this study) extended the Fermi Paradox to look beyond our own galaxy, addressing how more advanced civilizations would feasibly be able to launch colonization projects with relative ease (and even travel between galaxies without difficulty). In the end, they concluded that civilizations from millions of galaxies should have been able to reach us by now, which only serves to bring the Fermi Paradox into greater focus. If these early civilizations are around, why are they not visible to us? The reason for this, they claim in this new study, has to do with the thermodynamics of computation. According to this basic rule, the cost of a certain amount of computation is proportional to the temperature it generates. For some time, astronomers and cosmologists have been aware that the Universe is steadily cooling down over the time. Not only is star formation in galaxies slowly dying out over the course of billions of years, but even the cosmic background radiation is becoming colder. Timing is a key feature to this hypothesis. Much like the theory that humanity may have arrived early to the Universe, this theory states that the lack of detection has to do with species being in different places in their biological/technological evolution. In this case, the aestivation period of early civilizations has coincided with the subsequent rise of humanity as an space-faring and technologically-adept species. Herein lies another reason why ancient civilizations might want to take a cosmic nap. Given how long life needs in order to emerge – humanity took roughly 4.5 billion years to get to where it is today – then it stands to reason that ancient civilizations might want to skip ahead a few eons in order to let new races emerge. There are civilizations that mature much earlier than humanity. These civilizations can expand over sizeable volumes, gaining power over their contents. These civilizations have solved their coordination problems. A civilization can retain control over its volume against other civilizations. In other words, the hypothesis assumes the existence of civilizations that are more advanced than humanity which is based on the notion that they have had billions of years to develop elsewhere in the Universe. These civilizations would be higher on the Kardashev Scale (between Level II and III) by now, meaning that they had evolved to the point where they could harness the energy of entire star systems and perhaps even galaxies. Also, it assumes that these civilizations would have become space-faring races that had expanded to occupy parts of the cosmos that lie well beyond their own star systems. Ultimately, those civilizations that have chosen to become dormant would therefore be invisible to us since they are not currently traveling between stars and galaxies, smashing up planets to create megastructures, or consuming entire stars for fuel. As with all things having to do with aliens and ETI, a measure of guess-work is required here. And some would naturally argue that it is also possible that advanced civilizations are not subject to the same limitations we humans are, which would limit our ability to speculate here. In the end, we humans are required to theorize about what we don’t know based on what we do – aka. the “low-hanging fruit” approach. The findings reported in the study were also the subject of a talk that took place at the second annual meeting of the UK SETI Research Network (UKSRN), which took place on September 11th and 12th, 2014, at Birkbeck College in London.